Whistable Oysters are shellfish of the species Ostrea edulis (Native oyster) and Crassostrea gigas (cultivated European oyster) the meat of which is fat and succulent. They can only be found in the oyster beds in the vicinity of Whitstable, Kent. We've become world famous for the quality of our oysters and our keen to protect this. The Whitstable Oyster Company is one of only two companies represented by The Ancient Oyster Companies of Whitstable and Faversham. Further information about our EU protected status can be found by visiting the DEFRA website. The Whitstable Oyster Company has been growing oysters in the words of ancient documents since time immemorial. Today we are hands on with more than half a dozen methods of production. We buy or dredge Native oysters from the common ground historically known as the 'Flats' near the recently placed Windfarm. Natives reared on our ground (a freehold area of six square miles) are the only true Royal Whitstable Native Oyster. These although regrettably rare have their own superb characteristics. Rock oysters (Gigas) whilst not indigenous have found a permanent home in Whitstable Bay. We regularly harvest self seeded rock oysters from the intertidal zone using a hatchet, quad bike or boat. 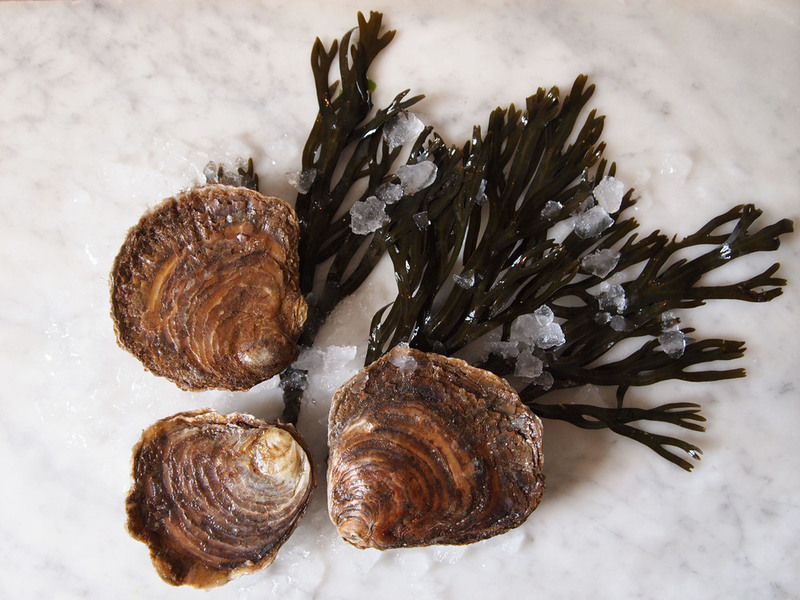 We also dredge rock oysters from deeper water, occasionally replenishing stocks with seed or semi-mature stock (traditionally known as brood, ware or half-ware). We recycle oyster shells from our restaurant, putting them back onto the seabed creating 'cultch' for spat (baby oysters) to settle on. Lastly and most recently we have experimented with growing rock oysters on trestles in bags with seed from Seasalter Shellfish Reculver Hatchery. These oysters are of excellent quality and grow to a much more uniform shape.